Slit Lamp Bulb - Eiko 6v. 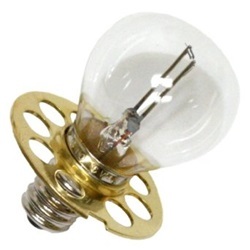 Eiko Slit Lamp incandescent bulb that is 6 volts and 4.5 amps. S11 shape with 35mm diameter and over length of 2.52". E14 Screw/ 26x18 flange base.